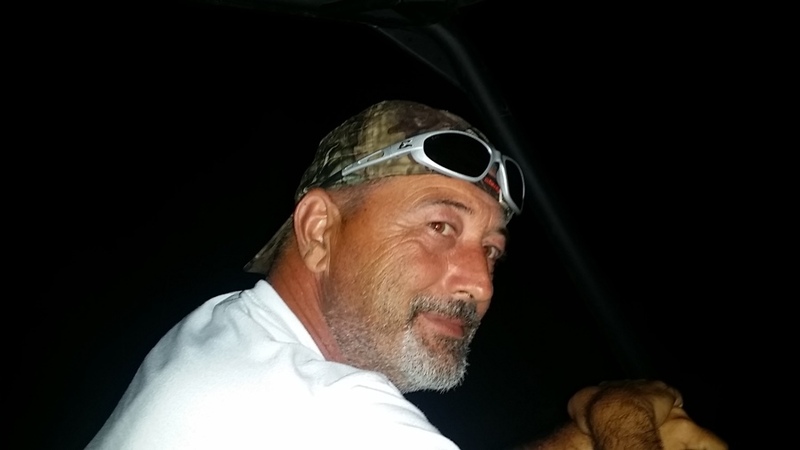 Mr. Terry Lee Myers, Jr., 49, of Chester, GA passed away Wednesday, April 3, 2019 at Serenity Hospice in Dublin following an extended illness. Mr. Myers was born December 30, 1969 in Ft. Meade, MD to Terry Lee Myers, Sr. and Sharon Chavis Johnson. He was preceded in death by his father. Mr. Myers moved to Warner Robins with his parents in 1972. He attended Warner Robins High School and received his G.E.D. from Middle Georgia Tech. Mr. Myers was a wonderful son, brother, father, husband, and Papa. He loved Mustang cars, hunting, fishing and spending time with his wife. On any given day you could find him at his father-in-law’s pond fishing with “his Chloe”. Mr. Myers was employed with the City of Dublin for the past 10 years, where he gained a great work family who always supported him and his wife. Survivors include his mother, Sharon Johnson (James) of Bonaire; wife, Tonya Myers of Chester, GA; sons, Terry Lee Myers, III (Melanie) of Warner Robins and Cory Fountain of Dublin; daughters, Heather Myers of Aiken, SC, Kandice Scoggins and Chloe Fountain, both of Chester, GA; brother, Jack Myers of Byron; sisters, Sharnell “Brat” Myers of Warner Robins and Martina Grogan of Middletown, PA; grandson, Kadence Fountain; step sisters, aunts, uncles, nieces, nephews and friends. Celebration of Life Service will be held April 28, 2019 at 1 p.m. located at 499 E. Chicken Road, Chester, GA. Family requests guest to bring your memories and stories to share with others along with a covered dish to celebrate the life of Terry. Special thanks to all the people who called, prayed and supported through donations to the fundraisers sponsored by the City of Dublin. Chapman Funeral Home of Swainsboro is in charge of the arrangements for Mr. Terry Lee Myers, Jr. 49, of Chester GA. There's still time to send flowers to the Celebration of Life at the Club House at 1:00 PM on April 28, 2019.